The surface of the Temi Throw from Blissliving Home is covered in hundreds of tiny, playful pom-poms for a soft cozyness you’ll simply adore. $80. Buy here. 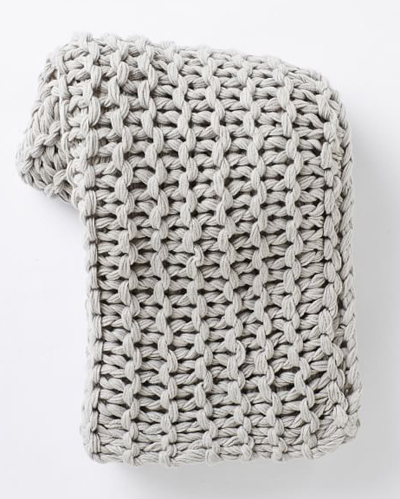 In a large-scale knit, this Chain Lock Throw has an extra cozy look and feel. $69. Free shipping. Buy here. 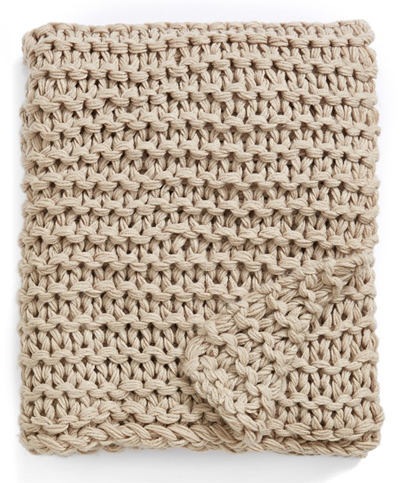 This Chunky Knit Throw keeps you cozy when the weather turns cool—and provides a warm, decorative touch to any room in your house. $78. Free shipping. Buy here. This two-faced Lennon Grey Throw doubles the options. Light grey side wraps in soft cotton, reversing to a cuddly cloak of charcoal wool. 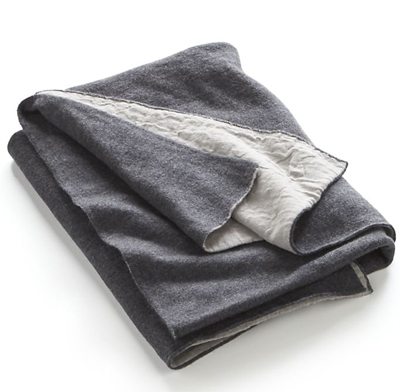 Finished edges give this versatile throw a clean, contemporary look. $99.95. Buy here. 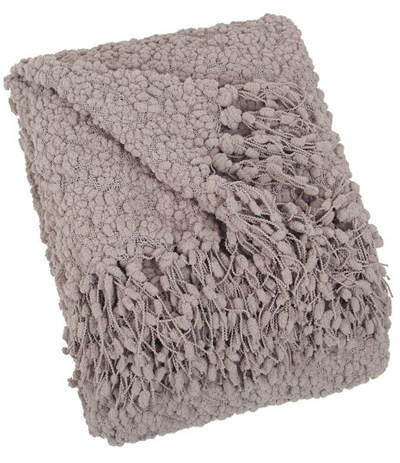 Soft and stylish, this Pine Cone Hill Linen Chenille Natural Throw Blanket provides warmth, cozy comfort and luxurious design. A soft construction and neutral sand hue make the fringed accessory a chic and relaxing addition to a sofa, chair or bed. $134. Free shipping. Buy here. 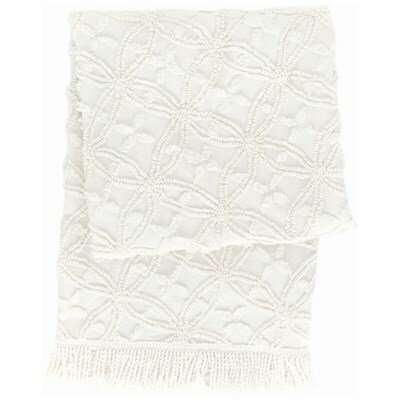 Crafted using an old-fashioned stitching technique, the Pine Cone Hill Candlewick Dove White Throw Blanket brings rich texture in a soothing neutral to a space. Its floral stitched pattern and lovely fringed edging dress up a bed, sofa or chair with classic style. Made from 100% cotton. $134. Free shipping. Buy here. 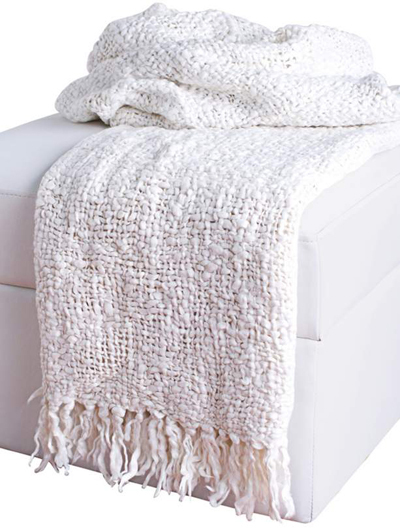 Featured in a soft off-white, this Loom Woven White Throw With Fringe will add a clean look to your decor. 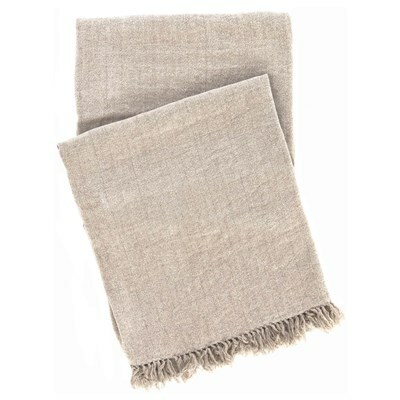 Visually pleasing and ideal for staying warm, this classic throw works well with a wide range of decor styles. $90.91. Free shipping. Buy here. 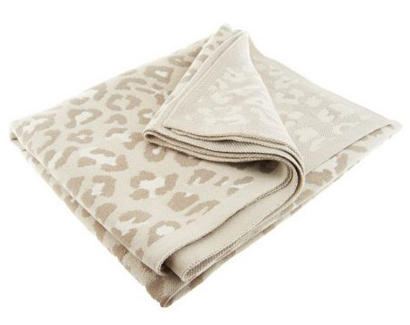 A luxurious animal print lends this Dennis Basso Printed Knit Throw its posh, exotic appeal. Measures 50″ x 60″ plus 4″ fringe. $57. Buy here. 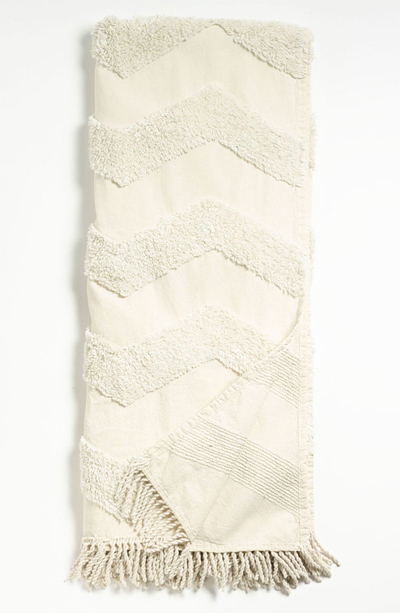 Dimensional chevron stripes add texture and style to this fringe-trimmed Zigzag Tufted Throw. Approx. dimensions: 50″W x 60″L with 2 3/4″ fringe. Machine washable. $58. Free shipping. Buy here.